MEDFIELD — The serendipitous sequence of “ifs” defies all likelihood. If Jack Cadigan hadn’t been a cardiologist. If he hadn’t turned up at the wrong gym for his son Jack’s basketball game. If he hadn’t run into an old friend there sitting with a Haitian doctor. If Cadigan hadn’t accepted his friend’s casual invitation to visit a medical center in Haiti. And, most important, if Cadigan hadn’t decided to check out the center’s idle EKG machine by testing it on his son. Then Cadigan wouldn’t have discovered that young Jack’s heart was a ticking time bomb nor later learned that a teenage Haitian girl who had survived the 2010 earthquake was, without treatment, doomed to an early death. Had his father remembered that Thayer Academy’s freshman team was playing away from home, there would be no talk of a miracle. But Cadigan wandered into the campus athletic facility and, rather than find his son’s game, he found Steve Bresnahan, a friend doing volunteer work in Haiti. He was watching the JV game along with Dr. Jean Kenes Eloy, director of the Saint Rock medical clinic, at a mountain village outside of Port-au-Prince. There was no running water or electricity. The EKG machine, which Milton teenager Ron Hudson had repaired as a techie project, had been gathering dust for half a dozen years. Cadigan wanted to see if it still worked, so he hooked up the machine to a gas-powered generator and used his son as a test patient. “The strip came out and I said, wait a second,” said Cadigan, who is assistant professor of medicine at Boston Medical Center and chief of cardiology at Lemuel Shattuck Hospital. “He had this look on his face and it wasn’t normal, obviously,” his son recalled. “So I said, ‘Is everything all right?’ He looked at the strip and said, ‘Everything’s fine.’ ” It was an old machine, his father explained, and it was possible that the leads were reversed. But when Cadigan examined his son with a stethoscope he detected a heart murmur. Since they were scheduled for another week in Haiti, the elder Cadigan didn’t want to return immediately to the States but also didn’t want to disclose his fears to his son. “It was horrible,” he said. “I was absolutely sick but I had to put it out of my mind. I said, ‘I cannot think about this down here.’ I said, ‘use your medical judgment. He looks good. He might not be good but he’s OK until we figure out what this is.’ My biggest fear was that he had cardiomyopathy, a very weak heart. That would have been ominous. My hope was that it was something completely benign like Lyme disease, which could be cured. Jack’s condition had not been picked up by routine pediatric exams. “It’s not uncommon for children to have heart murmurs that are benign,” Cadigan said. Later, shopping with his mother and sister Andrea, Jack told them that he had no feeling in his left leg. He’d had a small stroke. “So he had a lot of bumps in the road,” his father said. Back in Haiti, the same EKG machine had revealed that Lourdina Chery, an orphan who had survived after being trapped in the rubble of her school amid the earthquake, had rheumatic heart disease and also needed open-heart surgery, which was unavailable on the island. Once months of extensive red tape had been cut away by American volunteers, Chery was flown to Boston. MacGillivray, the MGH surgeon who fixed Jack’s heart, was again called into service in April of 2013. 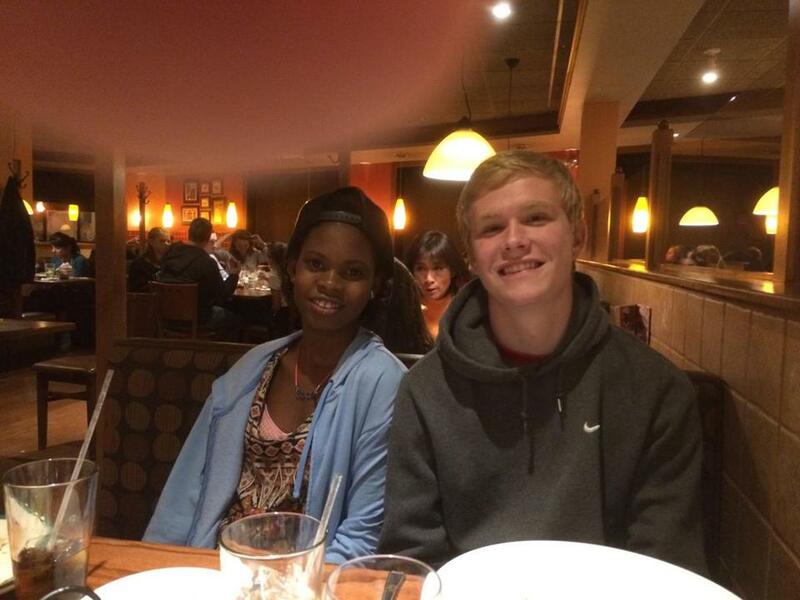 Jack Cadigan and Lourdina Chery. Cadigan went on to play his entire junior season at Thayer then transferred to Medfield, where his new teammates knew little about his cardiological tale. “We had no idea,” said cocaptain Sean Conroy. Cadigan, who was named Sports Illustrated’s High School Athlete of the Month for January, stepped up his game as Medfield made a late surge to qualify for the postseason, and he was all over the court in the first-round matchup at Marlborough on Feb. 27. 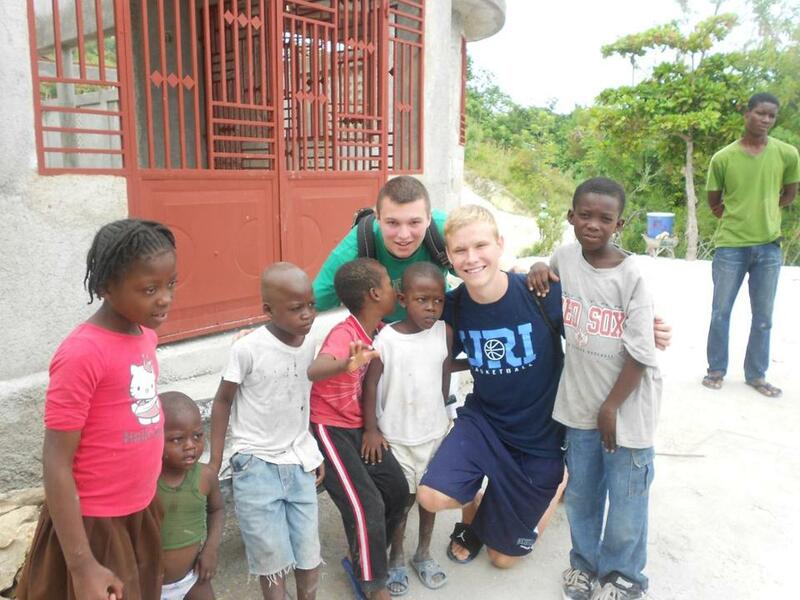 Before he starts college in the fall (Boston College and Providence are among his options), Jack is planning another in what has become a series of visits to Haiti, where he’ll reconnect with Chery. 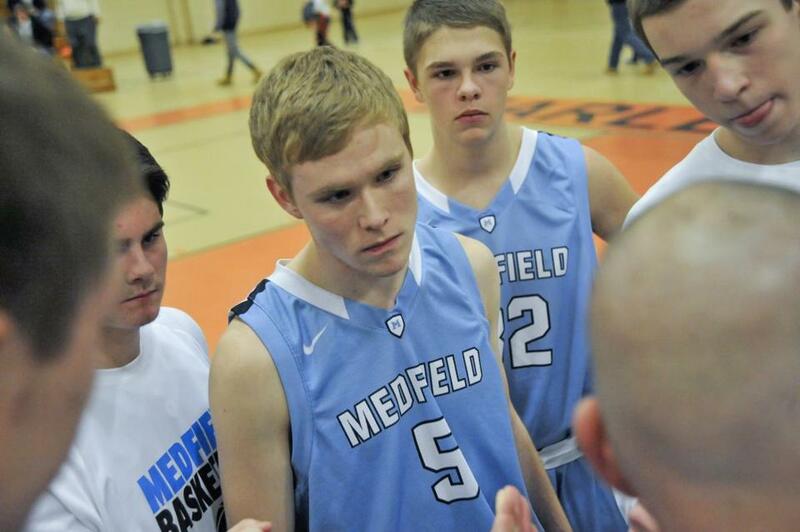 Jack Cadigan listened to coaches as Medfield took on Marlborough in February.